Yes they still exist! 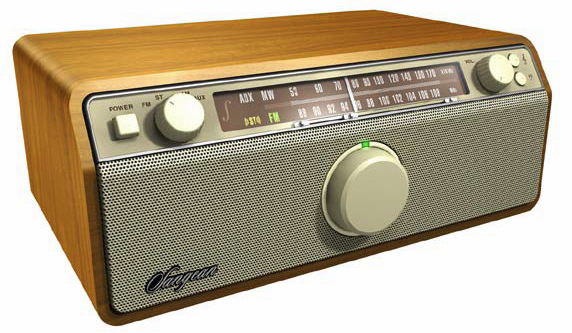 The Sangean WR12 is a simple AM, FM table radio with great sound. Although, completely intuitive to operate, with a traditional analog dial, the WR-12 employs the latest advances in electronics to provide a superb, full sound. The "2.1" channel system uses dual stereo speakers and sub woofer. Bass and Treble can be set independently and the dial back lighting is adjustable. It features an acoustically tuned, light walnut wooden cabinet. There is a provision for external FM [F] antenna and AM antenna. The Sangean WR12 BT is the same radio, but features a wireless Bluetooth® interface. With Bluetooth technology, simply switch to the Bluetooth source and after the initial pairing, start listening to your favorite music wirelessly from your Smartphone, tablet, iPod or PC. The WR12 BT cabinet features a darker colored veneer and grill. Copyright 2012-2018 Universal Radio, Inc.